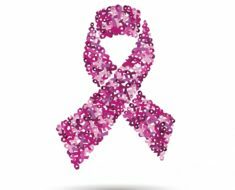 Upon learning of a breast cancer diagnosis, most women are so overwhelmed that breast reconstruction is the farthest thing from their mind. 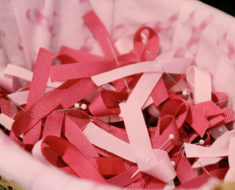 Of course, eradicating the cancer is the most important concern, however, it’s quickly becoming apparent that a large majority of breast cancer patients are not being briefed on their breast reconstruction options at all. 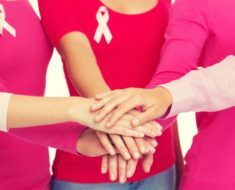 Out of every 10 women diagnosed with breast cancer, only 3 on average are informed about the breast reconstruction options available to them. Patients are given a great deal of information on breast cancer treatment options, yet left completely in the dark regarding post-mastectomy options. This is very unfortunate as post-mastectomy reconstruction is an integral part of the healing process. Undergoing breast reconstruction post-mastectomy has proved to restore a sense of femininity and wholeness and results in improvement in overall quality of life for breast cancer survivors.Why an alarming 70% of breast cancer patients are not informed of their breast reconstruction options is not entirely certain. Speculation points to doctors who may “fail to mention” or discourage procedures in which they do not have the training to perform. Increasing concern over this situation has prompted New York officials to pass a law requiring all New York hospitals to disclose information on reconstructive breast procedures to all breast cancer patients. After suffering cancer and fighting to survive, women deserve to know about any option that will improve their quality of life. The fact of the matter is that it shouldn’t have to be a mandated law, this should just be common practice. Some women may still choose to forgo reconstructive surgery, but many more may opt in upon learning that it is covered by insurance.Reports reveal that women who are less educated, make less money or are minorities are even less likely to have breast reconstruction after a mastectomy. Some are simply unaware of the procedures because their doctors do not tell them, while others do not have the procedure because they are unaware that it is covered by Medicaid and Medicare and are unsure of who to contact to inquire about the procedures.This newly passed law aims to ensure that these women are not left in the dark anymore and are given the information they deserve to know. Doctors will now be required to discuss breast reconstruction with their patients, give them insurance information and refer them to another hospital if necessary. Reconstructing the breast gives women the opportunity to feel whole again, to not have to struggle with clothing styles, and more importantly, it restores a sense of confidence and well-being. The benefits it has for women after breast cancer are tremendous and every single breast cancer survivor deserves to know about it.